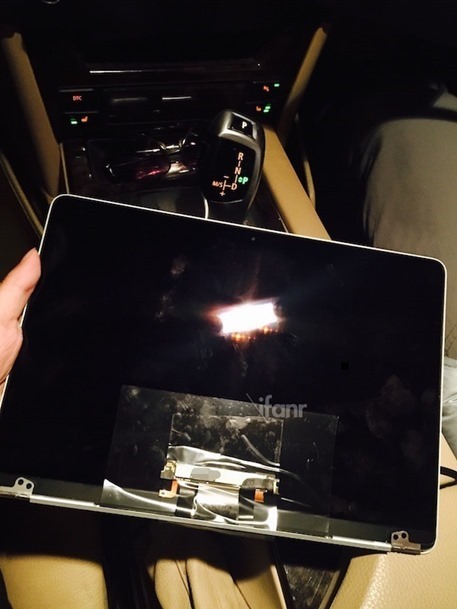 The rumors of a reported 12-inch MacBook Air are gathering pace and with the old adage of there being no smoke without fire very much in our minds, the latest leak to almost confirm the device’s existence includes photographs of what appears to be a screen set for the phantom notebook. 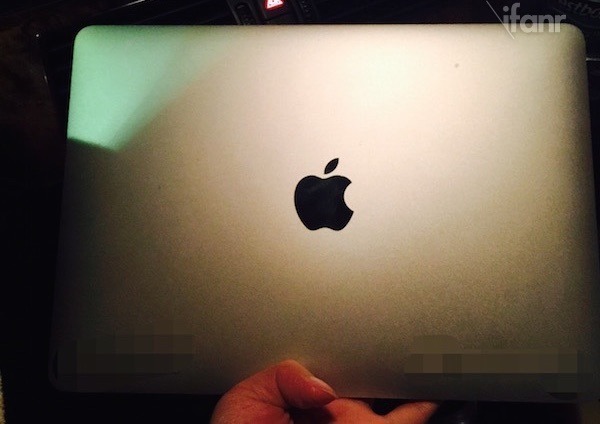 Coming out of Chinese site iFanr, the photos show what are claimed to be the display assembly for a new, unannounced flavor of the MacBook Air. Earlier rumors had Apple supplier Quanta Computer beginning to ramp up production of displays for the device, so the photos are a timely addition to a timeline stretching back quite some time. While not complete, the photos do raise some interesting points when compared with existing MacBook Airs. Firstly, the ugly grey bezels that surrounded the screen on existing MacBook Airs are being replaced by edge-to-edge glass just like that found in the current MacBook Pro lineup. 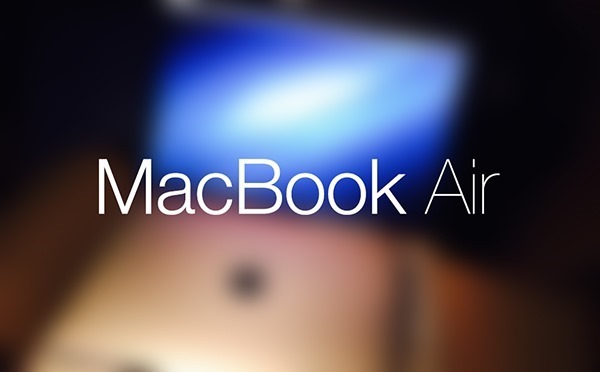 Whether this change will filter through to the other members of the MacBook Air line though remains to be seen. Also, something worth noting is the fact that Apple appears to be dumping the light-up bitten fruit logo that has sat on the back of the screen on notebooks for some time. 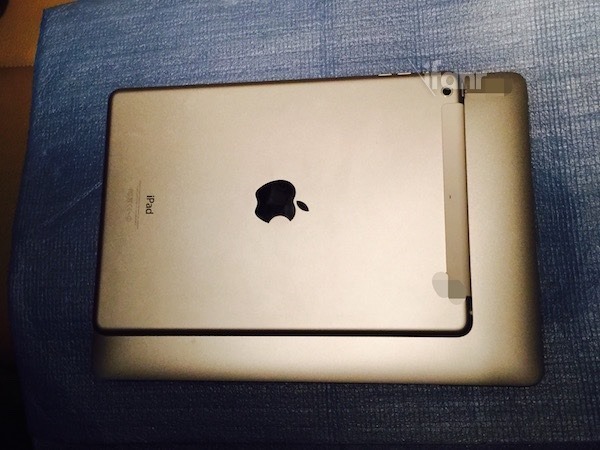 Instead, a polished black logo adorns the rear of the unannounced product’s screen just as you would see on an iPad. This is likely due to the size and thickness of the lid itself. As anyone with an 11-inch MacBook Air will tell you, seeing the Apple logo on-screen when your Mac is in sunlight is no fun, even if it does serve as a reminder that your display is paper-thin. 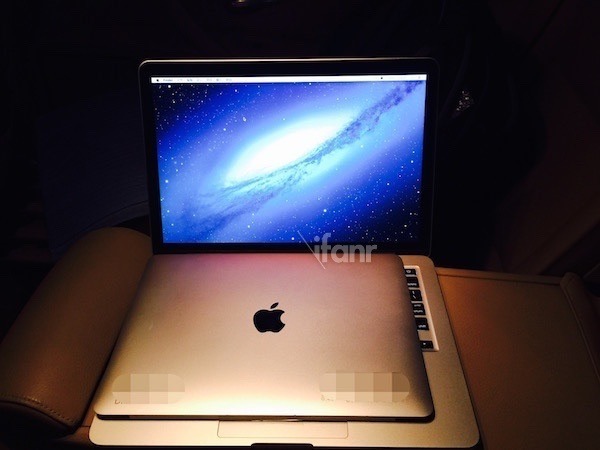 Apple has been working on the new, possibly Retina, 12-inch MacBook Air for some time depending on who you believe. With leaks starting to include photos of hardware though, it’s a relatively safe assumption that something new is on the horizon. so if i put this in my pocket, it will bend like my iPhone 6 Plus?